They say the best way to find your own path is to get lost on your present one. No one is a better example of that than Necole Kane. Today the blogger/entrepreneur sits in the driver’s seat of a burgeoning empire which includes the Urban Entertainment blog NecoleBitchie.com, its Lifestyle offspring, XONecole, the web channel BitchieTV, and a forthcoming apparel line, BC Society; but what a difference three years can make. Though Necole’s Bitchie online persona made it’s debut onto the blogging scene in late 2007, the motivation behind building her brand really began when she was a child growing up in a small town on the Eastern Shore of Maryland, spending her free time daydreaming, creating movies in her mind and writing books that were never finished. In college she majored in Television & Film with a hope of becoming the next Mara Brock Akil or female John Singleton. In 2002 Necole’s father passed away and two years later her mother followed, leaving her feeling lost, uninspired and with a terrible case of writer’s block. Looking for a fresh start she moved to Detroit and began an internship with a radio station as a producer; her first taste of working in entertainment. Six months later she was hired as the Assistant Marketing Director/Promotions Coordinator where she was introduced to marketing and brand strategizing and how important it is to build a branding platform. After music executive Lyor Cohen visited the radio station and gave a presentation on his artists at Warner Music Group, a light bulb came on for Necole: she would work for a record label. After getting her hands on the popular self-help book The Secret, Necole decided she had no time for self-pity. 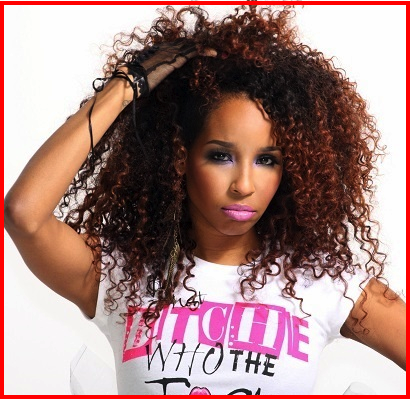 What she needed was a plan so she concluded, “There is a lack of jobs in the industry, so I’m going to create my own.”� Seeing a lack of coverage in urban entertainment, Necole Bitchie was born as she began reporting on the world of celebrity entertainment and new music while blogging some of her personal experiences as well. “I wanted to connect with my readers on a level that I hadn’t seen on other urban sites that I had frequented. That helped me stand out. Within a year, NecoleBitchie.com became one of the leading and fastest growing Urban Gossip Sites on the internet, attracting readers, advertisers and such esteemed outlets as The Huffington Post, CNN, The Boston Globe, Global Grind, VIBE and XXL. She was being courted by the very industry that had once rejected her. Now, her accolades include Black Enterprise’s Black Blogger of the Month, Soul Train Music Award For Best Soul Site, the Black Weblog Awards Best Gossip Blog and Blogger Of The Year honors, Ebony magazine’s Power 100, being the first Blogger to appear on BET’s 106th and Park, all while being featured in Sister 2 Sister, The Source, Honey, Essence, J’Adore, Rolling Out, The Huffington Post, The Tom Joyner Morning Show and more. Necole is well on her way to not only building a media empire that will include a production house, clothing and beauty line, and social applications, but creating a non-profit that will mentor and provide financial support to further the education of children that have lost their parents prematurely.